The Auburn Aperture Photography Club is inviting homeschoolers to be their subjects at a hands-on workshop for their members to learn more about portrait photography & lighting. This is a fantastic opportunity to get some retouched digital images of your student at no cost. 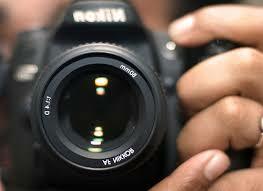 Students must be available on Tuesday, August 30, from 6:30pm to 8:30pm for the indoor portrait session. They may bring a change of clothing &/or a prop they would like to have in their portrait (e.g., guitar, baton, sports ball, etc). Note: Students must be patient as multiple photographers practice their craft. This opportunity is open to homeschooled teens in the area with priority given to seniors & recent graduates. Bring a flash drive labeled with your last name & phone number. It may be returned that night, or it may be returned later after the images can be sorted & edited. In addition, seniors will be invited to an outdoor photo shoot in the area on Sunday, Oct 2, (rain date, Sun, Oct 9) at 4:00pm. Reservations are required & location information will be given when you register. Contact Nancy Melkerson at nmelk3@hotmail.com for more info or to register for either opportunity.